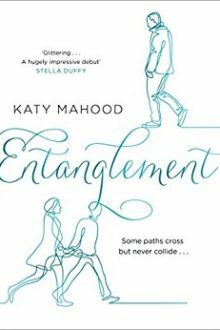 Entanglement by Katy Mahood is, quite simply, a gorgeous book. Incredibly, it is a debut and is published by The Borough Press. The premise of the book is loosely based on the theory of Quantum Entanglement ‘which states once two particles have collided they remain forever interlinked, even when separated.’ Katy Mahood explores this theory through the lives of two couples whose paths cross multiple times…yet never meet. Entanglement is a novel that encompasses much of what I love when I pick up a book. Written with the most poetic of hands, this novel is about people and the invisible threads that bring them together. It’s 2007 at Paddington Station. Stella and John, rushing for a train. cross paths with Charlie. 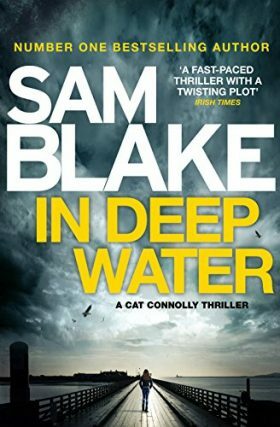 For some inexplicable reason, Charlie feels an instantaneous connection with Stella, yet he has no recollection of ever meeting her before. There is a connecting thread over a thirty year period that has gently woven it’s way through the fabric of their lives, yet none have any knowledge of why or how. Stella and John had a whirlwind romance when they met in 1977. Both looking to establish themselves in their careers in academia, their future was bright. After marrying and starting a family, Stella realises that she is loosing herself after putting her dreams of a successful career on hold. As John’s work escalates in the Physics lab, immersed in his studies of Quantum Entanglement, he moves a little further away from Stella. He seems almost oblivious to all she has sacrificed, not quite grasping that she too had dreams. There are a few pages in this particular section of the book that I think many mothers will completely empathise with. It makes for quite a poignant read, so just be warned. For Stella, life throws an additional challenge at her, when John suffers from a virus that has a detrimental impact on his health. As a couple they are faced with life altering decisions and changes that neither had ever expected or anticipated. Stella looks back on her carefree days and remembers John as he was, the man she fell in love with. Her pure grit and determination drives her forward, but the flashbacks to her life as it could have been are heart breaking. Meanwhile Charlie meets Beth. 1977 for Charlie is a very different experience. Growing up in a home where love was difficult to find, Charlie carries around very sad memories of his youth. His love for his only sister Annie shines off the pages, as they struggle to come to terms with the hand of cards dealt them. Charlie is a survivor and is almost incredulous when he meets Beth. She is everything and more for Charlie….and she loves him. 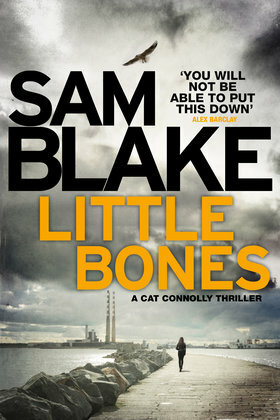 Charlie experiences a horrendous event that has a domino effect on how his future years pan out. 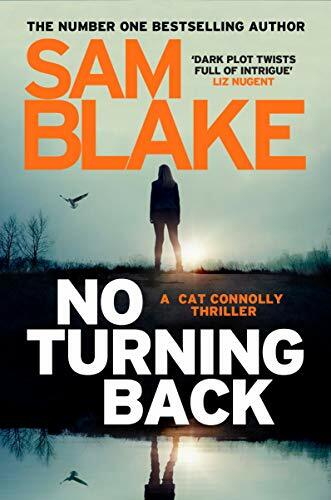 ‘He was only twenty-five, but he’d been an adult for so long: the person who was always responsible, the one who made things right.’ Was this new challenge just one step too far for Charlie? Charlie and Beth have a daughter, Effie, whom they both love dearly. Yet, even Effie wasn’t enough for Charlie, to assuage the guilt and the feelings of loss he continuously suffered on a daily basis. My heart went out to Charlie as I turned the pages witnessing his unraveling. He tries, he tries so hard and his experiences just feel so real, so raw. Tragically yet beautifully worded, Charlie’s story nearly broke me. The lives of all these strangers literally become entangled as they navigate their own respective worlds and make choices that unwittingly impact each other. Katy Mahood brings the notion of Quantum Physics to us all in this incredibly fascinating and powerful story. Entanglement is a story that plots the lives of strangers, a collision of particles and how there exists an everlasting connection that is almost magical in it’s telling. Entanglement is quite a special book, a book that is a very emotional read, a book that really will make you think about your own life and the paths you may have crossed. It will make you look differently at the person next to you at the bus-stop, in the supermarket queue. It is a book that will challenge your thoughts, a book that will raise many questions on how we live, but ultimately it is an enchanting, remarkable and enthralling story of beauty, love and forgiveness.